Avalanche Studios try their hand at the open-world shooter genre with mixed results. The 80’s were pretty cool. Robots are pretty cool. 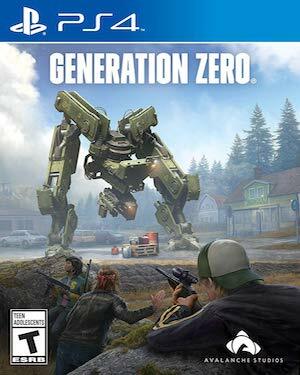 Developer Avalanche Studios decided to take these two pretty cool things and smash them together to create a dystopian open-world shooter called Generation Zero. As the first action game under their own publishing label, Avalanche is trying to expand its list of franchises. But is this new robo shooter worth your time? There’s not really any story to speak of in Generation Zero, though I think that’s the intention. The game takes place in 1980s Sweden. You star as a random teenager when robots suddenly attack. There’s some more layers to it and some bits of environmental storytelling scattered throughout, but that’s the gist. Aside from a few lines of text before you being a new game, there’s not much that’s explicitly told to you through the game. Generation Zero wastes no run time immediately shoving you into gameplay. Although a little more set-up would have helped establish the tone of the game, this is probably a welcome aspect for those players who just want to quickly get in and start shooting robots. "There’s some more layers to it and some bits of environmental storytelling scattered throughout, but that’s the gist. Aside from a few lines of text before you being a new game, there’s not much that’s explicitly told to you through the game." This is a pretty good-looking title. The wide open world you play in is beautifully realized and has plenty of variation in scenery. The weather changes from time to time and the rain effect coats your screen appropriately without becoming obnoxious. The presentation of the world is top notch and it should definitely be commended. If there was one nitpick that sprung up frequently throughout my playthrough, it would be with the house layouts. You’ll constantly be running through houses that look the exact same on the inside. Although it’s understandable, it does add to the tedious nature of playing this game, but we’ll get to that later. Sound design is also on point in Generation Zero. Guns all give great feedback and running through foliage and over different textures sounds just like it should. Hearing the crack of far-off lightning or the rhythmic whirl of an approaching robo-dog is great and really helps immerse you into this situation. Presentation is top-notch here and it really helps sell this as a real, lived-in place. Now, onto gameplay. 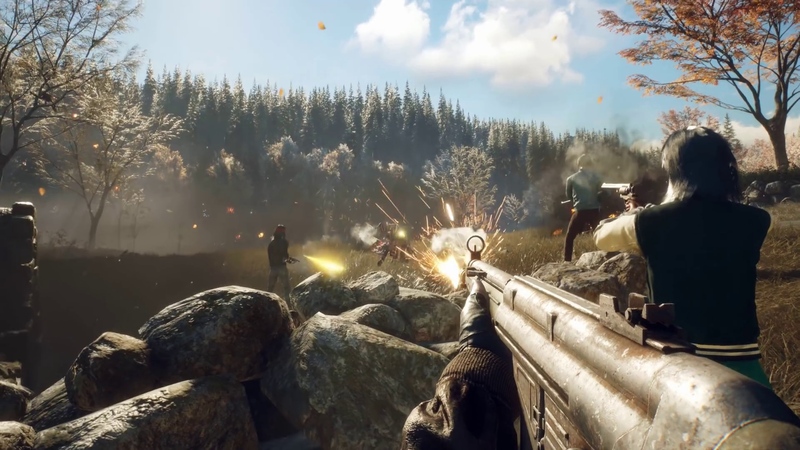 Generation Zero is a survival looter shooter. To fight back against the tyrannical toasters, you’ll have a few tools at your disposal. Since you’re only a regular teenager, you’re not going to come into this adventure already decked out. 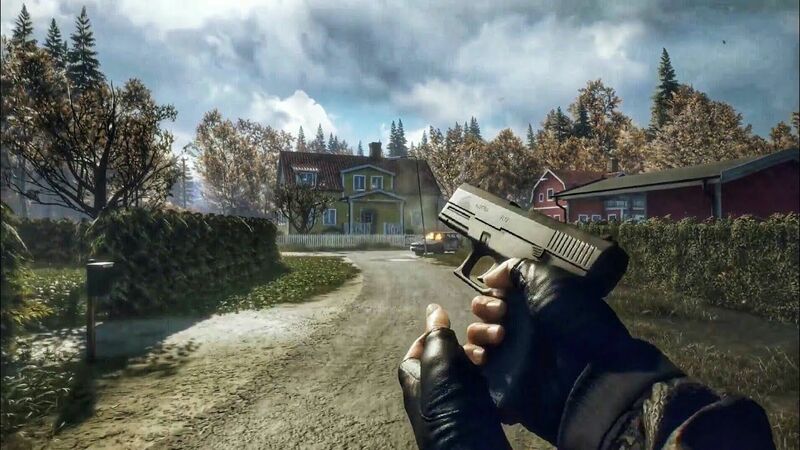 You’ll scavenge through houses, barns, cars, and whatever other containers you can find in the countryside of Sweden. You can pick up guns, med-kits, noise-makers, and even little cosmetic accessories you can use to personalize your character. You can customize your weapons, change out their ammo types, and even select a few pieces of throwable equipment to have quick access to. You’ll find that your enemies in Generation Zero can eat your health like no one’s business. Sometimes, a firefight isn’t always the best course of action. For these moments, you can use the game’s stealth mechanics. Although it’s not too in-depth, bars will pop up whenever an enemy’s around to let you know how aware they are of your presence. You can also use radios and flares to disorient your mechanical opponents and get the upper hand. Finally, there’s a leveling up system where you can improve your stats. All of this is fairly standard for the open-world shooter genre, but it is essential in order to stand a chance against some of the later machines. "This is a pretty good-looking title. The wide open world you play in is beautifully realized and has plenty of variation in scenery. The weather changes from time to time and the rain effect coats your screen appropriately without becoming obnoxious. 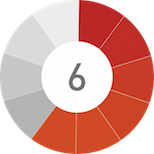 The presentation of the world is top notch and it should definitely be commended." Gameplay in Generation Zero is competent. The guns feel nice to shoot and there’s always some treasure nearby or some mission to complete. The real issue comes from how dull the game feels to play. The gameplay loop of exploring, fighting, and looting is repeated over and over without any meaningful window dressing to hide the monotony. Even though it feels nice to stock up on hundreds of rounds for your pistol, it doesn’t feel nice to use those pistols rounds to shoot the same enemies for hours on end. And once you get burned finding a house or two filled exclusively with radios, even exploring can also lose its luster. While all the systems for a good game are here and work just fine, there’s a definite lack of personality that holds this game back from being a truly fun experience to play. Although for many of us, the real appeal of this game comes from the enemies: the hordes of mechanized killer robots. Though these baddies can be terrifying if they corner you while you’re low on supplies, you may be wanting for variety after a while. For the first few hours with this title, you’ll be dealing almost exclusively with gatling gun-toting quadrupedal machines and some flying drone types. And although these are a good enemy type to get started with while your weapons are still weak, it won’t be long before you get tired of seeing the same enemies over and over. Later on, you’ll find more challenging opponents. Although aside from the bipedal walkers, the new enemies are simply bigger versions of what you’ve fought before. It’s too bad there aren’t more specialized designs but all the enemies does end up becoming intimidating, especially in packs. What ends up letting the intimidation factor down somewhat comes from their AI. Enemy AI is a mixed bag in Generation Zero. While it can at some points show surprising amounts of wit, coordinating with other machines and listening for your footsteps, it can just as quickly break. Frequently, I would find that enemies who would approach a house that I’m holed up in would attempt to make a beeline straight for me, seemingly unaware of the walls they end up getting stuck on. They also like to bunch up in groups which, given their explosive nature, leads to most fights ending fairly quickly once you know where to shoot. Generation Zero also has a multiplayer component that’s been pushed pretty hard in the marketing for this game. This game seems to be one that’s tailor-made for co-op fun. Although the AI isn’t so clever that you’ll have to coordinate tactics, it’s still a good time to blow things up with people you like. I wish I could tell you more about the multiplayer compartment but every time I tried to join a multiplayer game, the random matchmaking placed me with the same two players who kept kicking me over and over. Although I looked, I couldn’t find a multiplayer lobby list, so I was forced to give up my dreams of blasting robots with others. "What ends up letting the intimidation factor down somewhat comes from their AI. 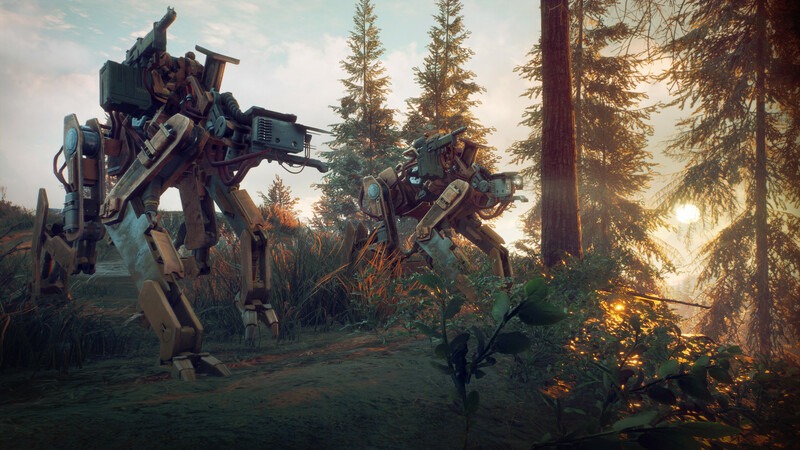 Enemy AI is a mixed bag in Generation Zero. While it can at some points show surprising amounts of wit, coordinating with other machines and listening for your footsteps, it can just as quickly break." Generation Zero is a competent product. The guns feel nice to shoot, the game is pretty to look at, and sound design is on point. But aside from technically performing as a video game, there’s just nothing that exciting about playing it. There’s nothing particularly interesting about what Generation Zero does or how it does it. Looking back at developer Avalanche’s previous efforts such as Mad Max and the Just Cause titles that just oozed with personality, it’s strange how vanilla Generation Zero is. Here’s hoping that Avalanche Studios can take this good idea and create something great out of it in the future. Beautiful World; Great Sound Design. Generation Zero is the Wonder Bread of video games. It’s solid and does what it does well, but it lacks any sort of excitement and will probably expire soon.